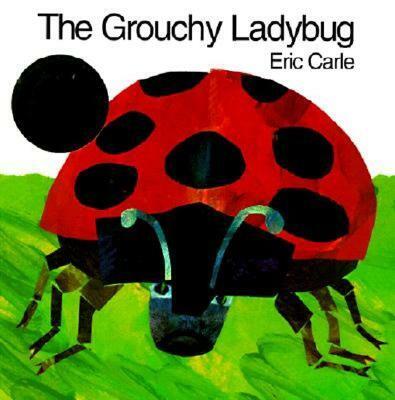 Eric Carle has a great collection of books for kids with a distinct look. His illustrations are a collage of hand painted paper. His book, “The Grouchy Ladybug”, is an intriguing book with a surprise on each page. Unlike many books, he does not restrict himself to the typical rectangular pages of many children’s books. The grouchy ladybug and friendly ladybug both found a leaf with aphids on it. The friendly critter wanted to share but the grouchy ladybug did not. “Want to fight?” the grouchy bug dared, then switched its mind and looked for someone bigger to fight. Throughout the day the grouchy ladybug dared a yellow jacket, stag beetle and bigger, until he dared a whale to fight. Needless to say, this experience changes the grouch’s attitude. Each page features a clock as a way to familiarize children with the time. The child-friendly pictures and flaps make this book a good read for any time of day, and would be great for kids of ages five to seven. Since this book is aimed for preschool aged kids, it is better to get the paperback book then the board book version.